Crepuscular rays over Atacama Desert. 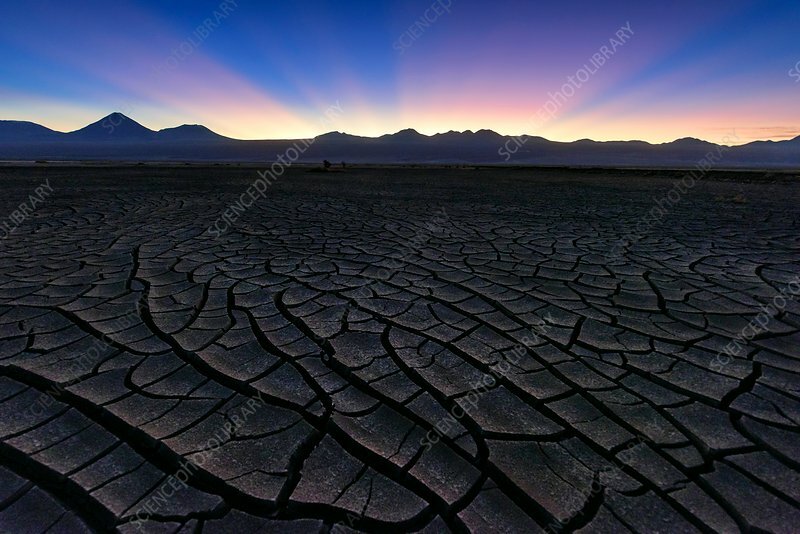 View across the dry cracked floor of the Atacama Desert, Chile, towards crepuscular rays streaming from behind the Andes mountains, at dawn. Crepuscular rays are rays of sunlight that appear to radiate, through gaps in clouds, from the point in the sky where the sun is located.